Increased pulmonary pattern on x-ray – what is it? 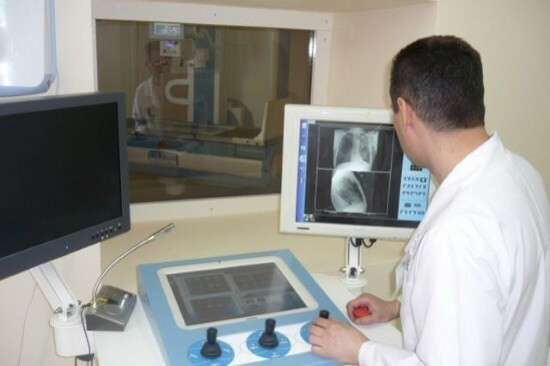 X-ray examination is the simplest method of imaging internal human organs. Diseases of the respiratory system is the most common indication for this study. 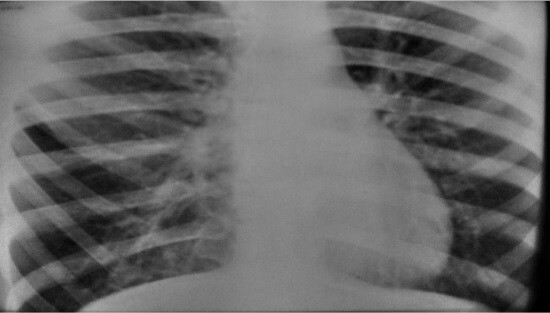 Often the radiologist determines the increased pulmonary pattern on x-ray. What is it? Simple the patient is not clear, it is a concern. Without clarification of the attending physician to not panic – like «amplification» is not always indicative of serious disease. Often there is a situation where pulmonary the drawing is amplified, but the objective symptoms of the disease there. No cough, temperature rise is not fixed, the symptoms of intoxication do not appear. In this case, re-appointed the or the more thorough examination, since some diseases are asymptomatic, especially in the initial stages, is a Prime example tuberculosis, neoplasms. Lung diseases and pathology of the mediastinum cause changes in normal lung pattern. This is due to inflammation around the blood vessels, the walls of which thicken is inevitably reflected in the radiograph. Participation in teneobraznyh begin to accept and walls of the bronchial tubes – they thicken, appear layer of connective tissue septa between the alveoli, which normally do not exist. With a high degree of reliability of the lung pattern can be studied only on the radiograph or tomogram of high resolution. For this best would be the purpose of the study conducted by rays of high stiffness – these images are clearly visible all the parts of the lungs. For diagnosis important monitoring and evaluation of radiographs, taken at different times. There are two ways of changing pulmonary pattern – gain and depression. When there is increased pulmonary pattern? Local strengthening, accompanied by the deformation of the diagnosed easy enough to compare the pictures of the opposite lung. Such changes are often indicative of inflammatory diseases. Often, this indicates the initial stages or on the contrary, protracted pneumonia, pulmonary fibrosis, caused by a limited abscess in the lungs, tuberculosis. It is important that the clinical picture does not always clearly expressed intoxication often small, there is a cough with mucous or purulent sputum. Despite the fact that the bronchi in x-ray strain and close to each other, they remain passable, and bronhografii often reveals bronchiectasis. The gain of the picture for a long time observed as a manifestation of the residual effects after acute pneumonia – it is stored up to six months. For most patients, any strange word in the expert opinion becomes an occasion for doubt. In fact, to panic ahead of time is not necessary. Often the conclusion of the «strengthening of lung pattern» is a trivial consequence of overdiagnosis than the «sins» most of the radiologists. Putting the diagnosis of chronic bronchitis, doctors often do not bother to further analyze x-ray images taken some time ago. In reality, doctors in municipal clinics on the detailed proceeding is just not enough time. In addition, x-ray diagnostics refers to plenty of subjective methods of investigation – decision of people relying on their sight and experience, so errors cannot be excluded. When the person receives the opinion of the radiologist on your hands, do not panic, reading the phrase «the increased picture» is not a fatal diagnosis, and practical significance, sometimes not. In the case when the conclusion States that specific diseases – tuberculosis, tumor or pneumonia, treatment to postpone anymore. Is it safe x-ray diagnostics? Despite the fact that the patient receives a dose of radiation, x-ray diagnostics remains completely safe. The fact that it is also inexpensive, making this imaging technique is optimal for most patients. The availability of such a method does not mean the possibility of its uncontrolled use, and even need to repeat the picture is not always an absolute indication for repetition. In some cases the doctor will prefer a different method of study. All received irradiation to be taken into account and summed – thus eliminating the possibility of «overdose», and harm human. However, each person needs to take care of himself – if such examinations on its own initiative, to report them to the attending physician necessary. the possibility of obtaining additional information in the course of the study with the use of additional software. Despite all the advantages, radiography has some disadvantages, and contraindications. Such a study is not conducted in pregnant women. Although modern devices and protection from ionizing radiation allow an x-ray and pregnant – according to strict indications, with the obligatory protection of the abdominal area. To a relative shortage can be attributed not the highest resolution images – contemporary methods of imaging allow us to detect pathology more accurately. Pulmonary heart: what is it?